Admittedly I have absolutely no idea what to expect from Vietnamese food – but I do know one thing. 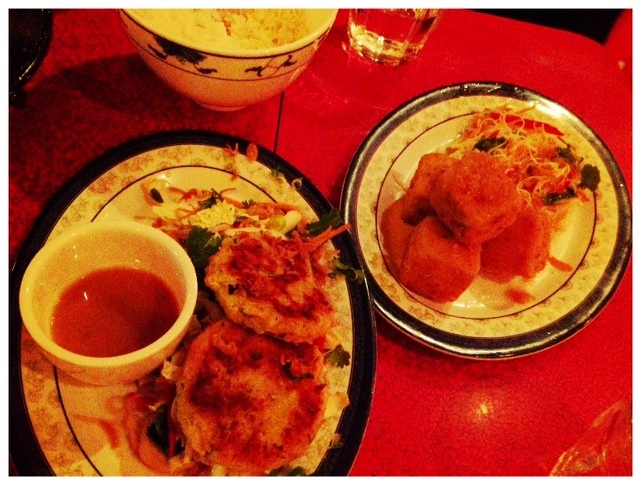 The Hanoi Bike Shop is serving up some of the tastiest, flavourful food in Glasgow. Created by food-loving travellers, it’s simply brilliant. This Vietnamese inspired ‘street food’ is absolutely delicious – even better, it’s served by some of the friendliest staff in the city. Recommending one dish over another is nearly impossible – but the Sa Dau Phu Rau Tron (lemongrass marinated bike shop tofu), Ari Rich Coconut, Lemongrass and Lime Leaf Curry and Cha Ca Turmeric Marinated Coley (served with dill & crushed peanuts) are so fantastic, it’s wrong not to try them. In fact, I’m convinced they’ll make you a better person. If you haven’t been yet, why? Because it’s an absolute must. 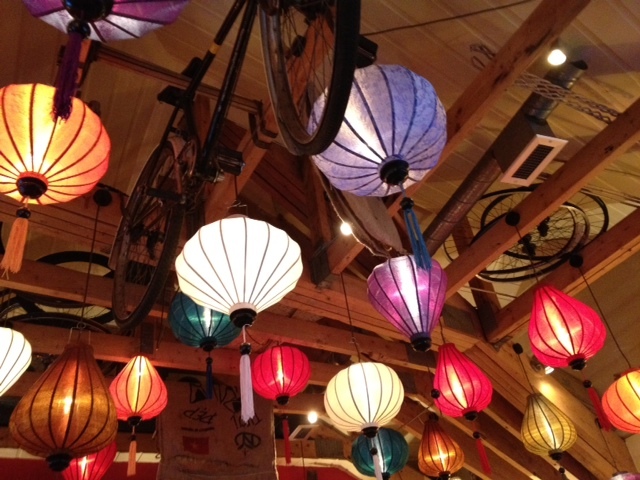 A charming interior is just another added bonus – downstairs is a cosy wee snug and upstairs is a magical paradise of colourful lanterns and bikes. If the Hanoi Bike Shop is anything at all like Vietnam, then both my tastebuds and curiosity are intrigued. And if your New Year lacked that spectacular something, then celebrate Tet (Vietnamese New Year) with mouth-watering food at Hanoi on Sunday 10 February.